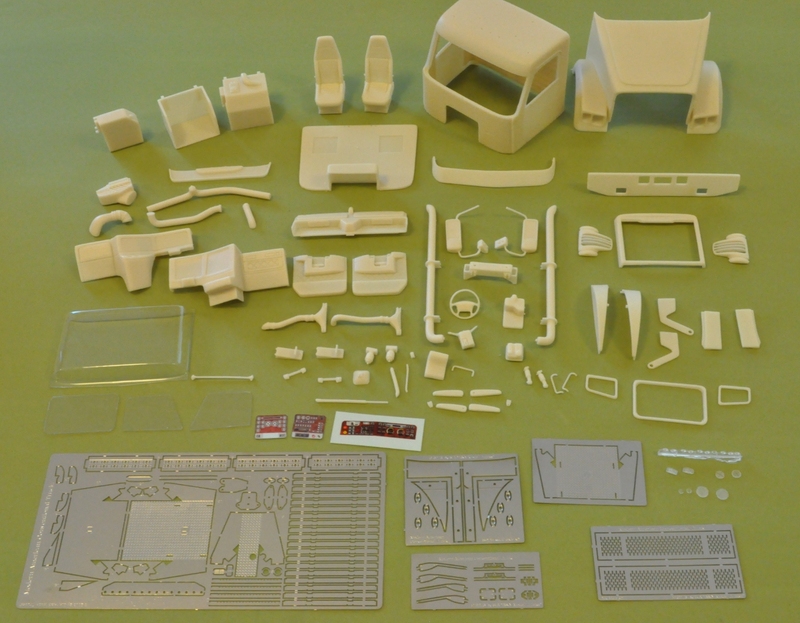 Cab conversion kit with full detailed interior, tilting hood and a lot of chrome plated parts! 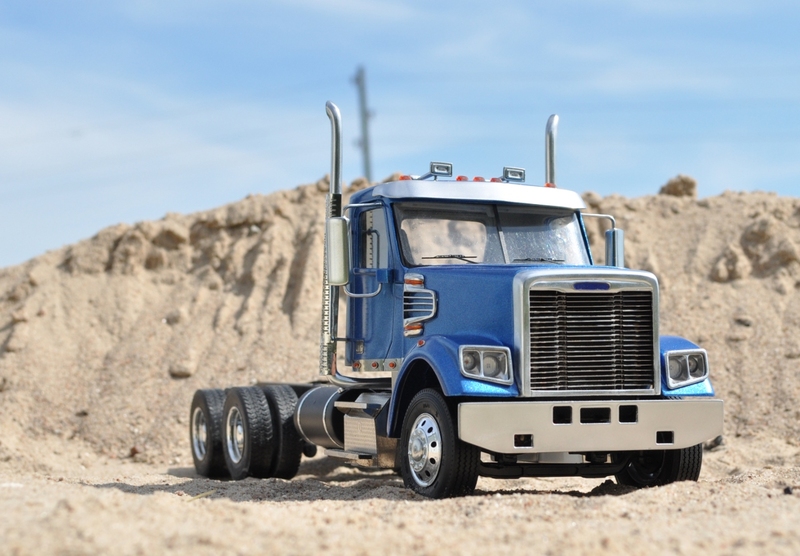 Presents modern American truck with a lot of possible combination: logging truck, dumper truck, tractor and more. Scale 1/24. 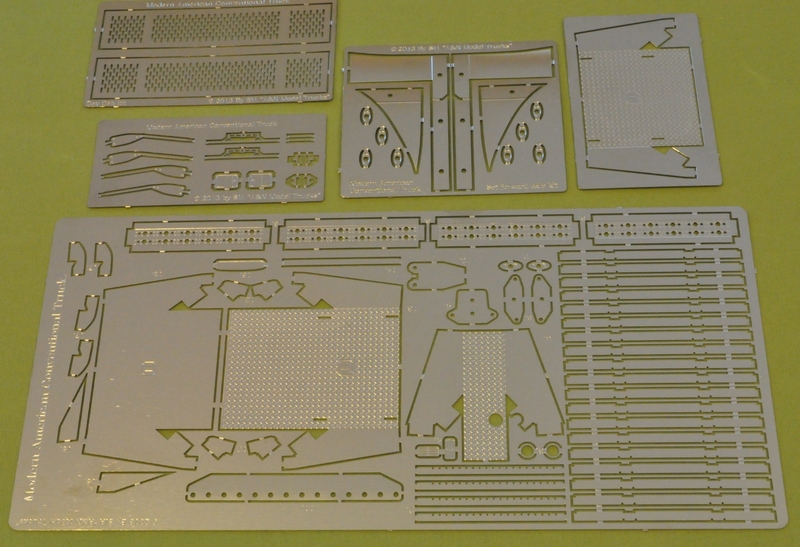 Requires any US chassis by Italeri, except Peterbilts 377&378 and Volvo VN as donor kit. CNC-milled glazing for rear and side windows. 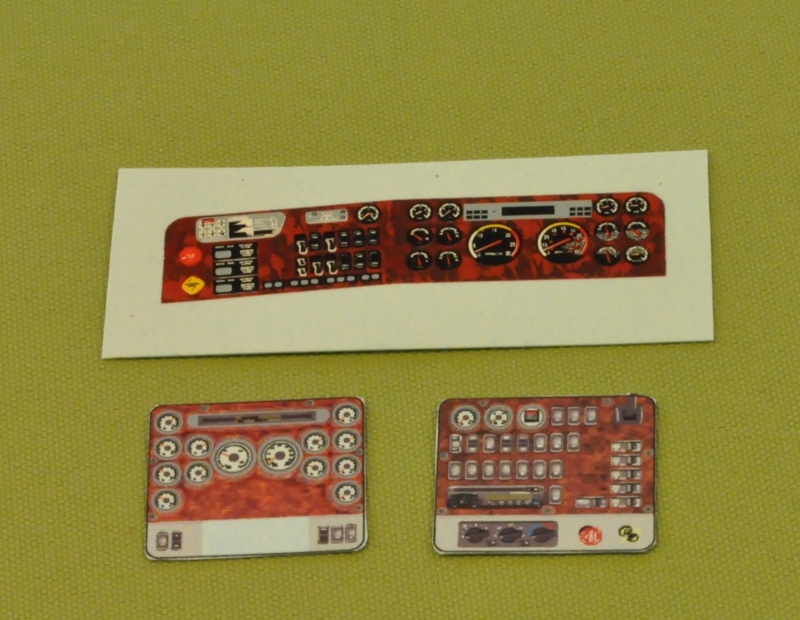 No more sheets of plastic, patterns and scissors. Just take from the box and glue in the place! 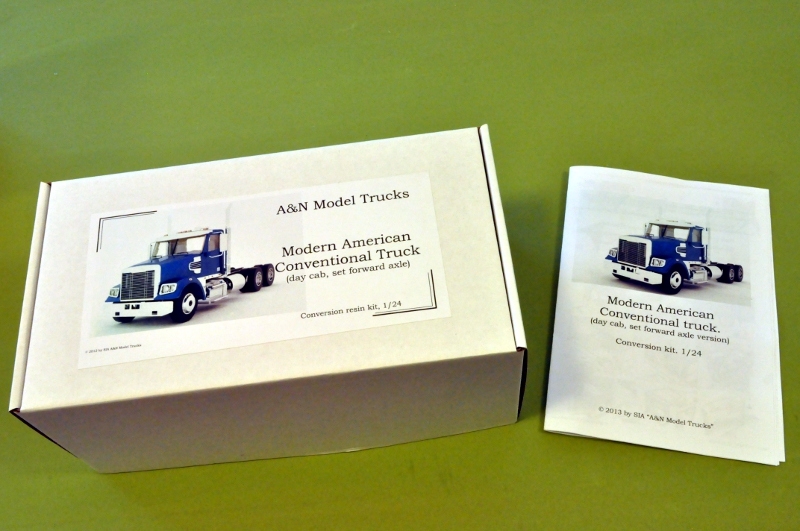 Master patterns, design of PE-parts and casting by SIA „A&N Model Trucks“ © 2013.